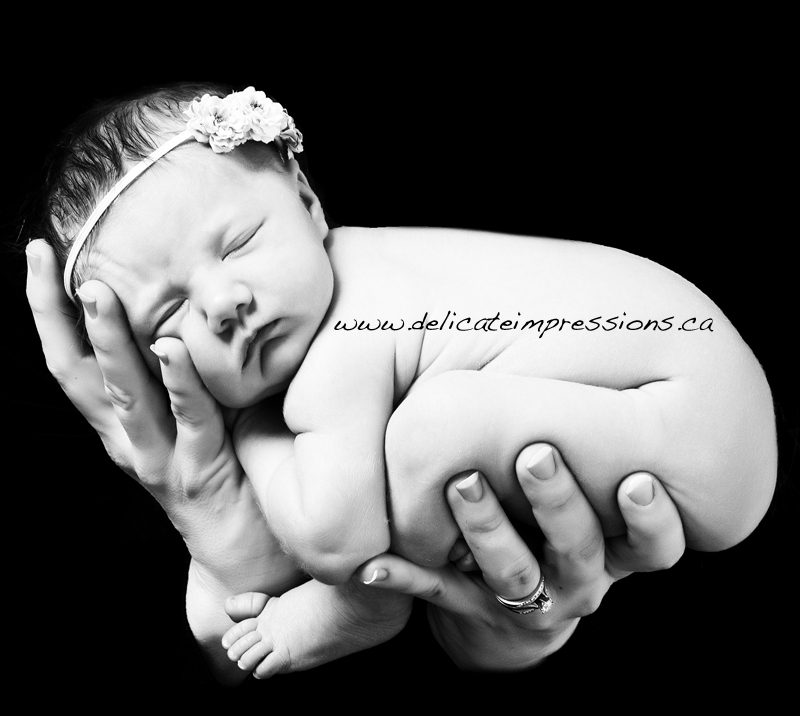 Adalyn on Valentine’s Day <3 | Delicate Impressions Blog World! On Valentine’s Day I got to photograph sweet baby Adalyn only 8 days new and she did FABULOUS! Such a tiny little girl and such a pleasure to photograph. Mom was holding her for a sec (not even near the backdrop) just so I could set something up…but I turn to take Adalyn for her next picture and …well, she was just so perfectly sitting in moms hands! I had to grab the shot. Mom brought this cute little headband so we had to use it. Congratulations on your newest addition Rob, Kathleen and Zander! I hope to see you all again soon! !